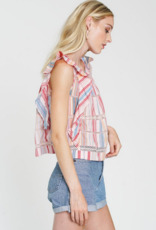 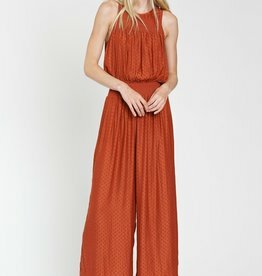 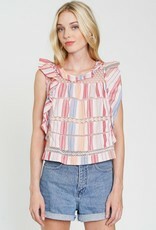 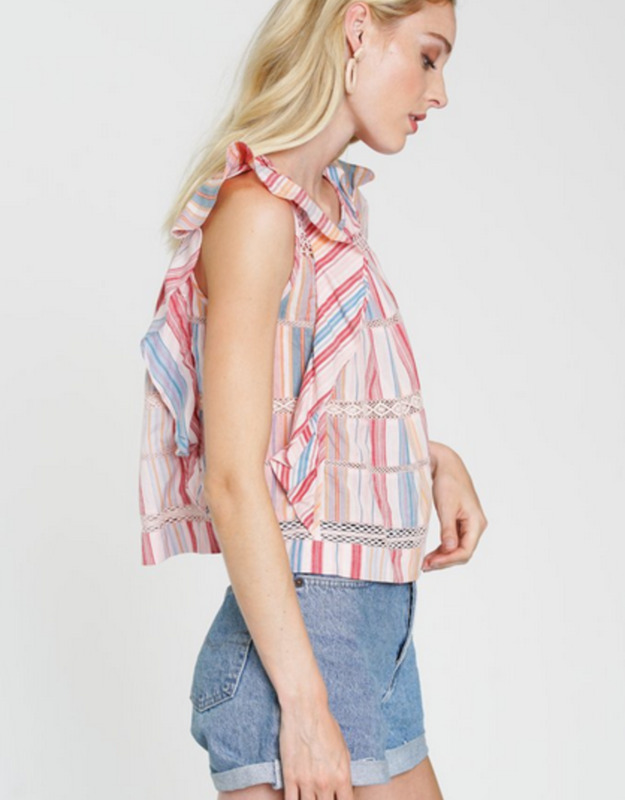 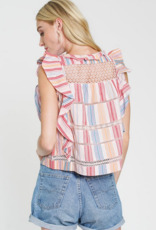 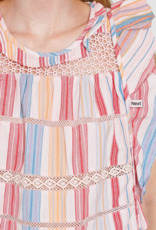 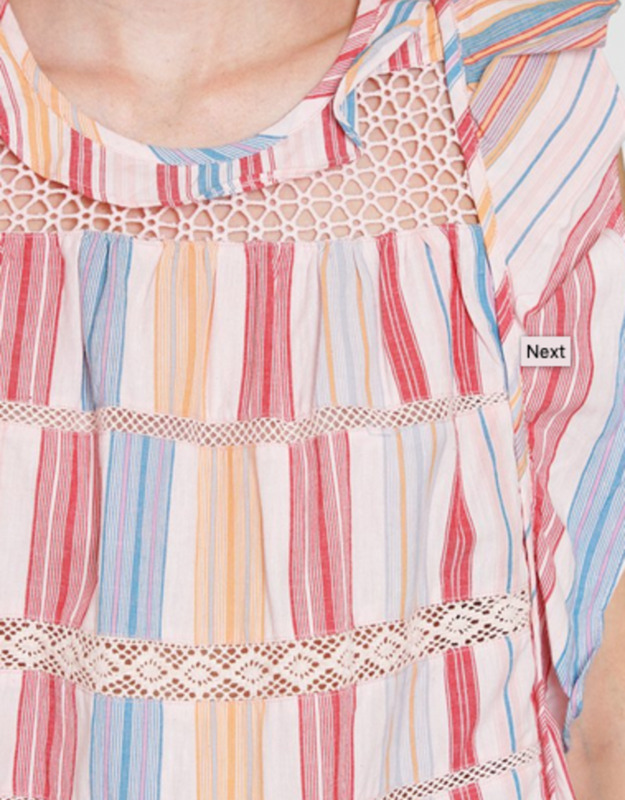 This sleeveless Zaharra top, is featured in a multi-colored Dawn stripe. 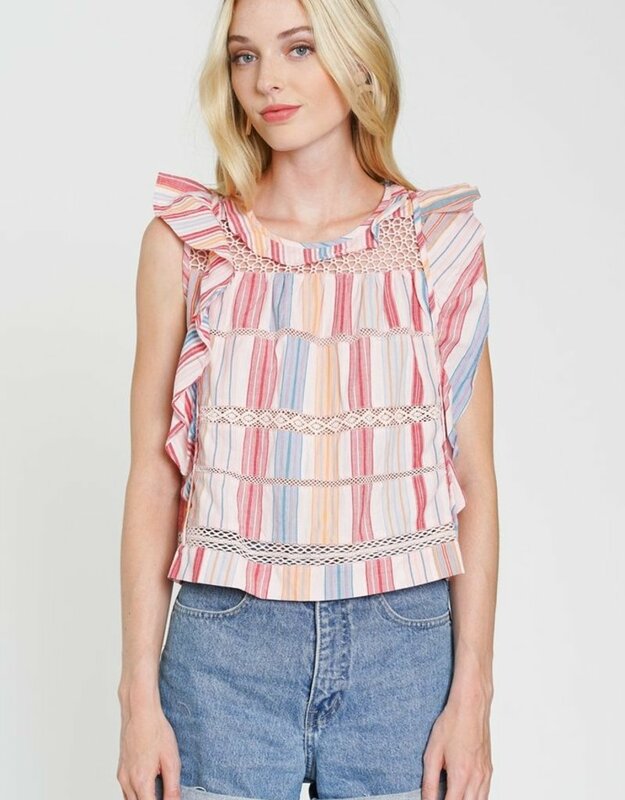 With its array of yoke and inset panel lace details, subtle ruffled bib neckline and cascading ruffles along side seams makes this blouse a traditionally-inspired design cut in a broad textured cotton with discreet pattern delicacy. 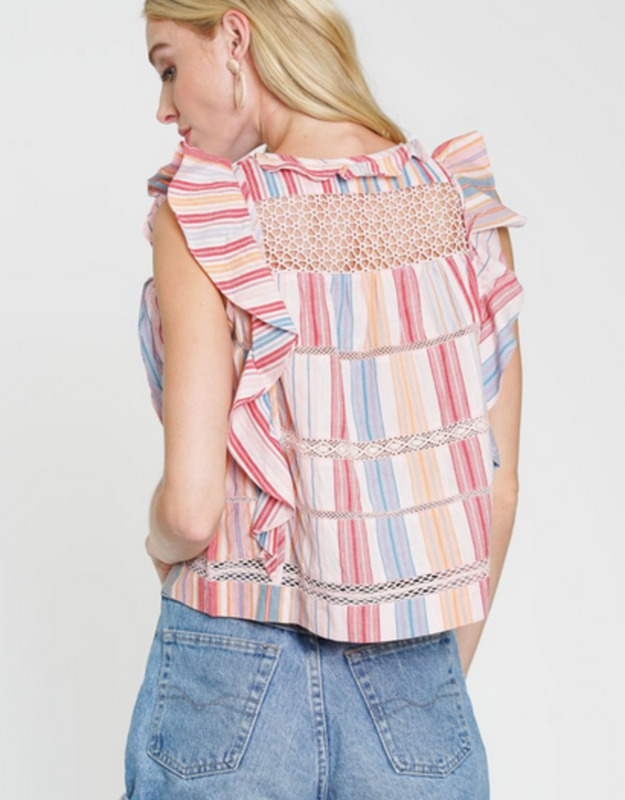 With its textured, all-over Navy star print fabrication and subtle ruffle details throughout, this v-neck, sleeveless Tivoli top takes a traditionally-inspired silhouette and gives the piece an understated complexity with a delicate finish.